Supreme Court of India Today reprimanded the Centre for not having complied with the Court’s direction dated April 9 to frame the scheme under section 6A of the Interstate river disputes act of 1956 by May 3 pursuant to its February 16 verdict in the Cauvery river water dispute. In support of his claim, he drew the attention of the bench to a September, 2016 interim order to constitute the Cauvery Management Board within four weeks and the assertion by the then Attorney General Mukul Rohatgi that the needful shall be done by October 4, 2016. “Should we understand the statement of the AG to have been made without the backing of truth? What should we tell the people of Tamil Nadu?”, advanced Mr. Naphade. On a query in this behalf by the Chief Justice, the court was informed that while 2.5 TMC of water each was to be released for the months of April and May, only 1.1 TMC was released in April. “Hardly 2 TMC of water has been released in 4 months?! The scheme should have been finalised by now...the states have no role to play in it...even if the scheme has not been finalised within the stipulated time frame, the state of Karnataka should have released the water as per the order of the Cauvery Water Disputes Tribunal (CWDT) to prove its bonafides...the Tribunal had fixed the quota which we had only reduced by around 14 TMC...the water released has to be proportionate to the rainfall, irrigation etc and this why the scheme is needed...in the summers, the allotment is very less...if the water is not urgently released, there will be consequences”, admonished the Chief Justice. Senior Counsel Shyam Diwan, appearing for the state of Karnataka, argued that “there is no contempt against the state and hence, nothing to obtain instructions on and respond to”. When Mr. Naphade persisted that the temperatures not just during the summer season but even otherwise are rising in the state of Tamil Nadu, the CJI reiterated that the February 16 judgment incorporated the principle of substantive equality and assured that the water shall be made available. “We also want a categorical statement on affidavit as to what held them (the Centre) back...whether it is politics or the affairs of the government...they are defeating federalism...we are at the mercy of the Central government...”, pressed Mr. Naphade. Directing the AG to obtain instructions on the steps adopted to frame the scheme, the CJI Scheduled the matter for further hearing on Tuesday. 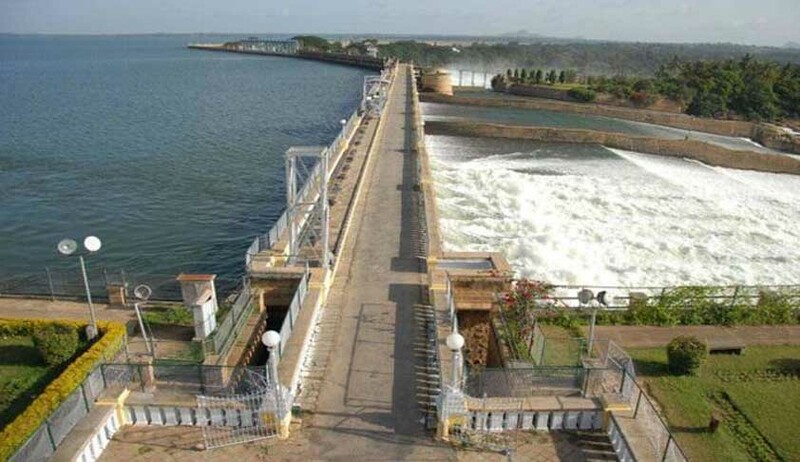 The Supreme Court had on February 16 passed verdict on the appeal moved by Karnataka against the 2007 award of the tribunal and modified the award while directing Karnataka to release 177.25 TMC water to Tamil Nadu instead of 192 TMC as ordered by CWDT. The bench headed by CJI Dipak Misra also directed the Centre to frame a scheme under section 6A of the Inter State River Disputes Act of 1956 within six weeks so that the authorities under the scheme can see to it that its decision which has modified the award passed by the tribunal is “smoothly made functional”. No Direction To Give Water To TN : Karnataka Legal Team. The Hon'ble Judges of the SC (Cauvery Water Dispute) orally mentioned that there is shortage of water of 4 Tmc which Karnataka may have to release. However, we submitted that Karnataka has ensured more water than what TN is entitled to receive at the inter State border. The Hon'ble judges in this background have directed Karnataka to file an affidavit by Tuesday. The State of Karnataka would file its affidavit submitting that the share of TN in this distress water year (upto end of April 2018) was 98.06 Tmc, however, Karnataka has ensured 116.74 Tmc - the surplus being 18.68 Tmc. Besides, Karnataka would also submit that the live storage in Mettur in TN is 9.56 Tmc which is sufficient to meet its drinking water needs in TN. Karnataka would also submit that the live storage in its four reservoirs is 9.93 Tmc which is entirely required for meeting the drinking water needs of rural and urban areas including Bangalore.